Here’s the deal: spend under $500 and you get 20% off; spend more than that and your discount is 25%, and it all ends Saturday at 11:59 p.m. As I’ve said in the past, this is a good time to get yourself something at a discount that might never get marked down otherwise. 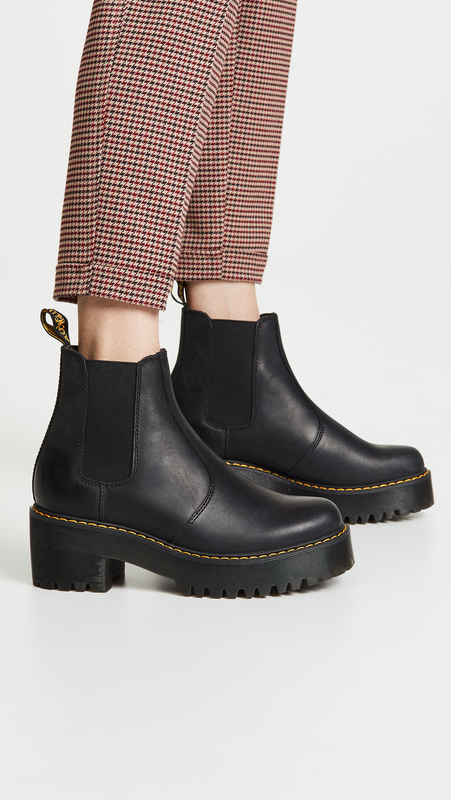 I’ve got my eye on these Doc Martens platform chelsea boots. 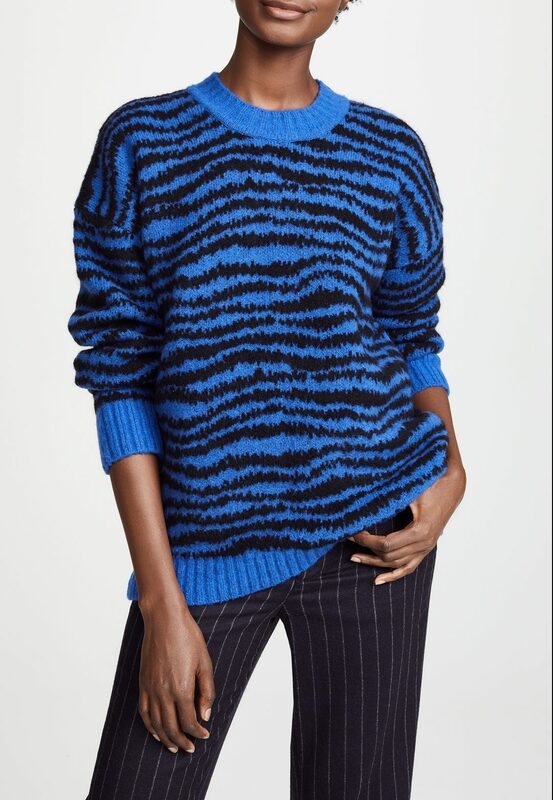 I do love a zebra stripe, and this sweater really pops, and in addition to that, looks super-cozy. 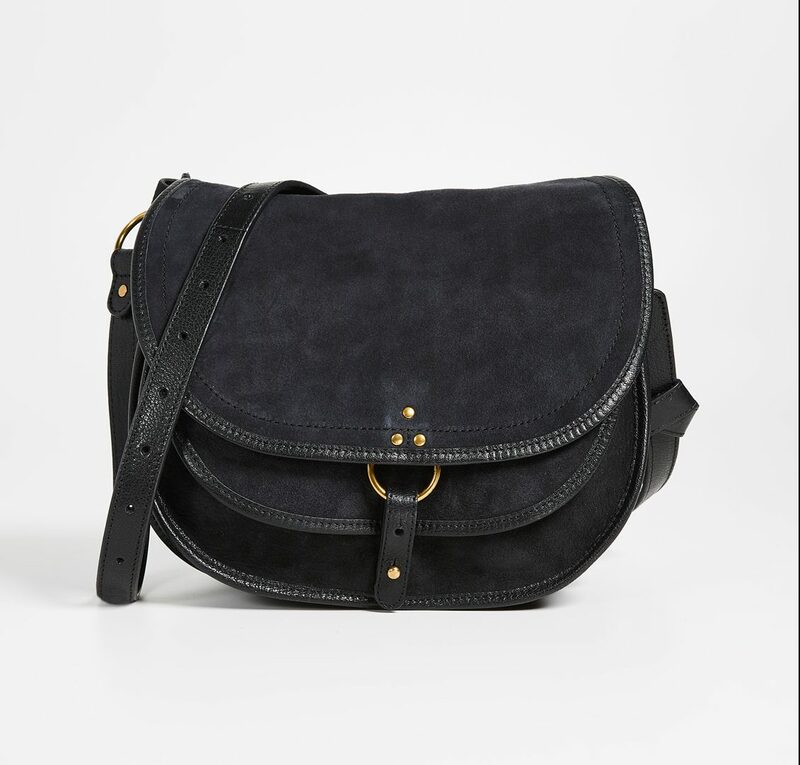 This Jerome Dreyfuss bag is the perfect size for all your daily stuff (minus laptop) and I like the minimal-but-stylish hardware. 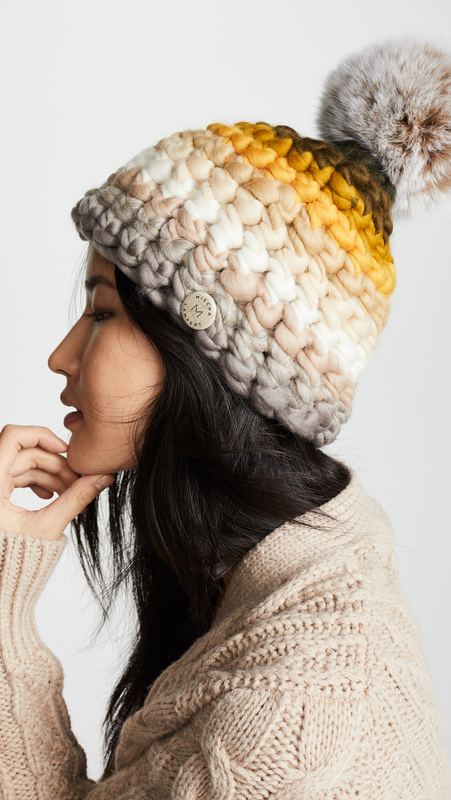 Mischa Lampert hats are so cute and super, super-warm, and I like the pop of yellow here. 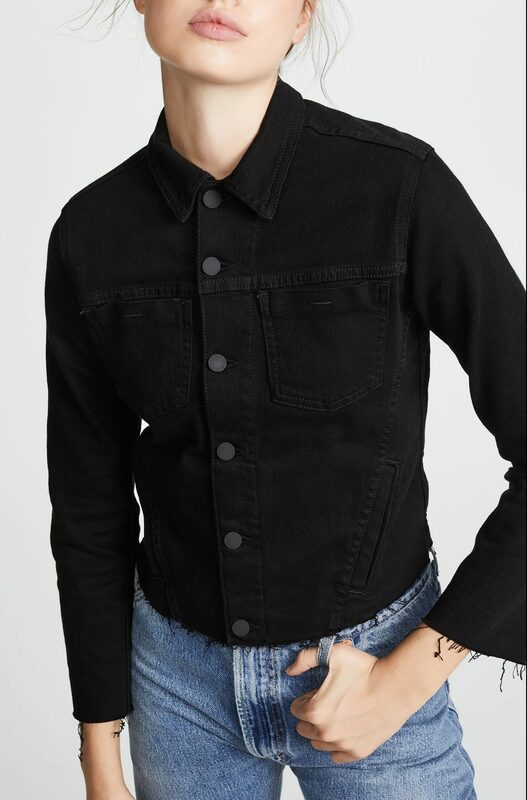 I’m still hanging on to the raw hem trend for dear life (I know some of you don’t share my enthusiasm), and it looks so cool on the sleeves of this jacket. 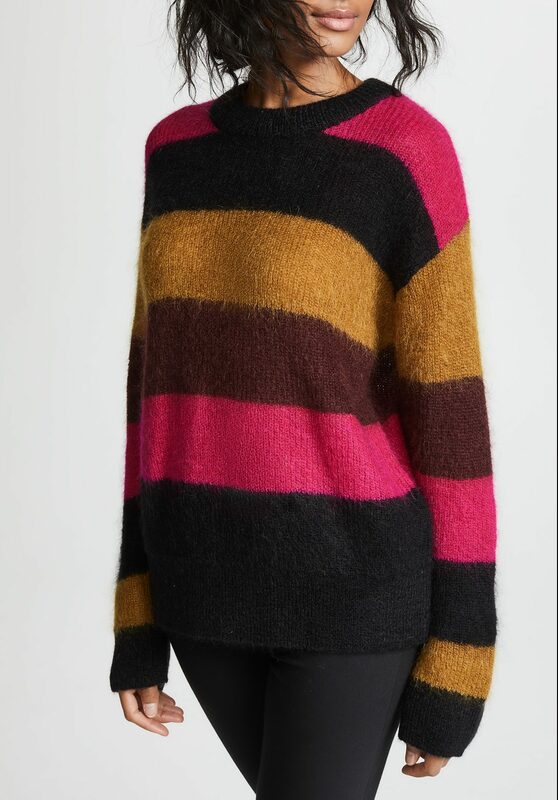 The color combination on this sweater is a little weird but so good. 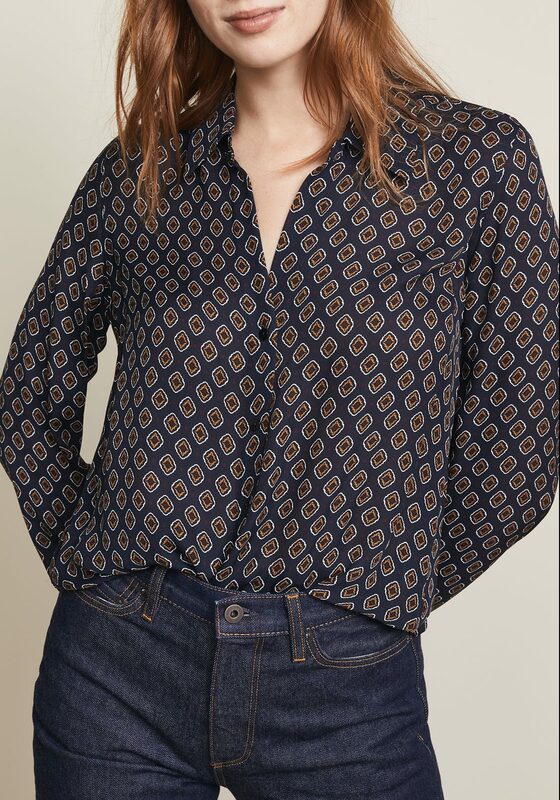 An appealingly menswearish button-down with a rather spiff print. 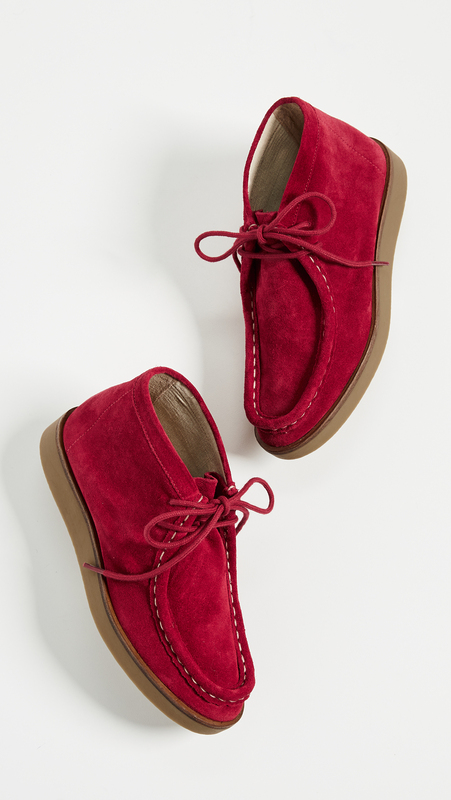 These wallabees are so damn cute in the red that I can hardly stand it. I still love raw hems too and that jacket is fantastic. Red wallabies? To die for. I wish that hat didn’t have a fox fur pompom. The fox probably wished the same thing 🙁 Nobody needs real fur in this day and age. I wish that hat didn't have a fox fur pompom. The fox probably wished the same thing :( Nobody needs real fur in this day and age. I had the same question – what kind of stitch is that? Looks different. I know there are knitters here. I had the same question - what kind of stitch is that? Looks different. I know there are knitters here. i’m a knitter and i’m thinking that might be crochet? i’ve never seen any stitch pattern that looks like that. and i am so tempted by those boots! i'm a knitter and i'm thinking that might be crochet? i've never seen any stitch pattern that looks like that. and i am so tempted by those boots! 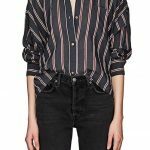 I love the raw hem as I think it gives the jeans a little edge! I can’t seem to stay away from it. And if I can’t have a hole in the knee due to the fact I’m 49, then I’ll take the raw hem! 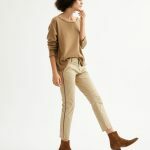 I love the raw hem as I think it gives the jeans a little edge! I can't seem to stay away from it. And if I can't have a hole in the knee due to the fact I'm 49, then I'll take the raw hem! Great post! Thanks for the eye candy. I have those boots. They took awhile to break in, but I couldn’t pass up Docs with some height. I have those boots. They took awhile to break in, but I couldn't pass up Docs with some height.